If you’d like to be considered for a position at Red Tractor Pizza, please use the form below. You are welcome to include a resume, but please be thorough in your response to the application questions. Please thoroughly fill-out the application form below. 1. 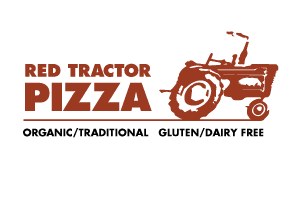 Why do you want to work at Red Tractor Pizza? 2. Share any particular kitchen/cooking/baking, service, sales or management experience you might have. 3. What is your definition of outstanding customer service? 4. What examples from your experience in customer service and foodservice demonstrate your skills in this area? 5. What makes you stand out as an employee and team player? 6. Name some other talents or skills you might bring to the red tractor pizza team: (carpentry, plumbing, graphic design, photography, public relations, etc)? Be specific. PREVIOUS EMPLOYMENT - PAST 3-5 YEARS+ PLEASE Company names, job description, name, phone and/or email of supervisor, reason for leaving. High School Where, Graduation Year? Advanced Or Specialized Education Where, When, Degree, In What? Special Talents, Service Projects, Etc. By submitting this application to Red Tractor Pizza via email, I authorize my present and former employers (unless otherwise indicated on this application) to release information to Red Tractor Pizza concerning my employment, including my job performance. I release Red Tractor Pizza and any parties mentioned within this application from liability for any damage (except that resulting from misrepresentation) which might result from furnishing this information. The information provided on this application (and accompanying resume, if any) is true and complete to the best of my knowledge. I understand that falsified information or significant misrepresentation or omission of facts called for may disqualify me from further consideration and may be considered justification for dismissal if discovered at a later date.